Higher-quality materials, fixtures and finishes. Energy-efficient technology and equipment. Craftsmanship and attention to detail. Those are the signatures of a home built by Nick Romeo Builders, LLC. No other southern Indiana home builder offers a higher value or a better homeowner experience. From advanced geothermal systems and appliances and next-generation foam insulation to innovative approaches to exterior construction, Nick Romeo homes are designed with comfort in mind and energy efficiency that makes sense. Consider this. A standard new home scores 100 on the Home Energy Rating System (HERS) Index. 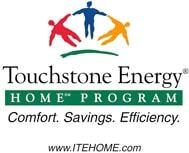 Nick Romeo homes have repeatedly broken state records for low HERS scores, holding the current record for energy efficiency in the Touchstone Energy Program in the state of Indiana — a HERS score of 29! That translates into a truly comfortable home, annual savings and a higher resale value. BETTER CRAFTSMANSHIP. A BETTER EXPERIENCE. Owners of a Nick Romeo home are more than satisfied clients…they’re delighted to show off their homes. Each is a showcase of craftsmanship, a testament to the attention to detail that has become the hallmark of every Nick Romeo Builders, LLC project. Perhaps most important, Nick and Lisa Romeo transform a process that could be overwhelming and stressful into a truly pleasant and satisfying experience. It’s why, over the past 20 years, they have often found themselves enjoying repeat business from their homeowners or their family members.